Between 2007’s “Juno” and 2011’s “Young Adult,” screenwriter Diablo Cody (2015’s “Ricki and the Flash”) and director Jason Reitman (2014’s “Men, Women & Children”) have forged a path that makes sense in its maturation, leading them to their latest collaboration, “Tully.” They have created a spiritual trilogy of sorts, where the first two films respectively centralized a teenage girl dealing with an unexpected pregnancy and a young woman past her high school prime who sneered at babies, and now in their third pairing, a woman navigates the joys and pains of motherhood. Cody’s hilariously honest voice and sharp ear for dialogue are distinctly her own in “Tully,” and Charlize Theron (back again after her deliciously biting and uncompromising work in “Young Adult”) brilliantly conveys Cody’s words from the page with side-splitting wit and palpable devastation. 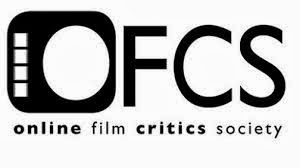 Only somewhere in the third act does the film make a choice with a narrative reveal that many movies have employed before, and while “Tully” didn’t quite need it and casts everything previously seen in a darker light, the film still holds up beautifully with a true melancholy underneath all the barbed humor. Days before delivering her third child, pregnant 40-year-old wife and mother Marlo (Charlize Theron) feels like she is drowning. Her working husband, Drew (Ron Livingston), helps 5-year-old son Jonah (Asher Miles Fallica) and 8-year-old daughter Sarah (Lia Frankland) with their homework before he nestles in bed to play video games, but as a mom, Marlo never stops working. Jonah, who is somewhere on the autism spectrum but undiagnosed, has kicking-and-screaming meltdowns on the way to school after Mom brushes his skin each morning to calm him for the day. Before Marlo gives birth to her third child, her wealthy brother, Craig (Mark Duplass), offers to hire her a night nanny; she isn’t keen on the idea at first, but once experiencing sleep deprivation with a newborn and more stress than she can handle, Marlo accepts help. Enter Tully (Mackenzie Davis), an earthy, bright-eyed 26-year-old who has the nurturing and maternal instincts without having any children of her own. After the first night where Marlo goes up to bed, Tully puts baby Mia to bed, cleans up the house, and even bakes cupcakes. Tully might be a godsend, but she can’t stay forever. Directed with an understated, observational eye by Jason Reitman, “Tully” is a perceptive, acerbically funny, empathetically observed slice-of-life of a middle-class New York suburban mother’s postpartum exhaustion. More bittersweet than some sugar-coated, rose-colored ode to motherhood, the film pulls no punches in capturing the messy, unglamorous minutiae of parenthood, whether it’s the sight of a bag of breastmilk falling over and spilling on to the counter, or Marlo being told by a coffee shop patron that the decaf coffee drink she orders still contains trace amounts of caffeine, or Marlo trying to lose her baby weight and catch up to a college-aged jogger. A montage of the grind of being a mother is also so real and funny in the taxing emotional drainage Marlo is experiencing, from pumping milk to dropping her iPhone on her baby’s head to the sleepless nights to dropping dirty diapers into a diaper genie. When Marlo meets with Jonah’s private elementary school principal, who keeps calls him “quirky” and suggests that the school might not be the best fit for the atypical Jonah, how Marlo reacts to that word being thrown around almost sounds like writer Diablo Cody calling out her naysayers who claimed her snarky wordplay in “Juno” to be the same thing. Besides all of the uncomfortable truths behind child-rearing, Cody and director Reitman also earn so many quietly poignant moments of compassion toward its characters, like one scene where a teacher calms Jonah in the school hallway by having him pretend he's a tree and another where Marlo, after feeling renewed, helps her daughter get through a karaoke performance of Carly Rae Jepsen's "Call Me Maybe" at a birthday party. 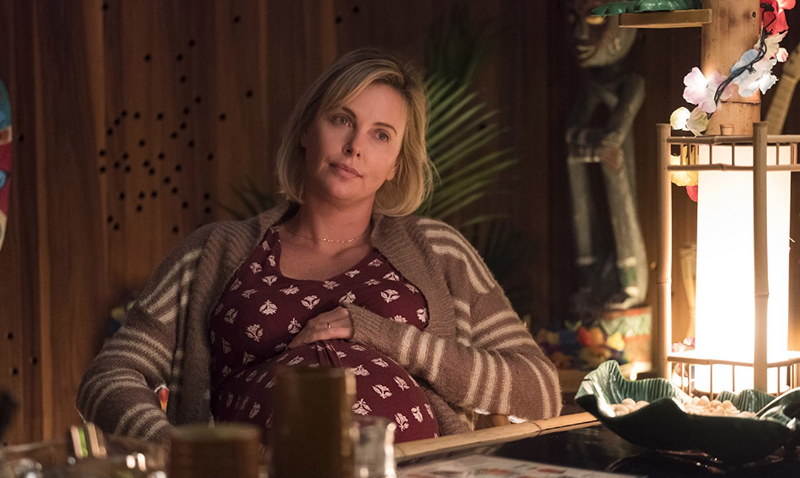 Charlize Theron is dynamite as Marlo, ravishing the role without an ounce of vanity and never trading in authenticity to glamorize motherhood (for what it’s worth, the actress reportedly gained 50 pounds). Not too far off from Theron’s Mavis Gary in “Young Adult,” Marlo has a prickly, sardonic side that is more welcome than off-putting, referring to her body as a “relief map for a war-torn country” or telling someone that she feels “like an abandoned trash barge.” When Tully does arrive, Marlo begins thinking back to the person she used to be, living in Brooklyn as a free spirit bursting with vitality, but as a mother who has just given birth a third time, taking on such a heavy load puts Marlo even closer to the edge of having a nervous breakdown. As for Tully, she is like a sparkling breath of fresh air, and Mackenzie Davis is wonderfully offbeat and magnetic with eyes that look into one’s soul. Her Tully is idealized, never even judging Marlo when she walks in on the beleagured mom watching guilty-pleasure reality show “Gigolos.” She is like a magical fairy-godmother figure with a wise, cultured, down-to-earth, energetic quality—Marlo says, “You’re like a book of fun facts for unpopular fourth graders”—but there is a reason for that and to divulge more would spoil the surprise of how Tully evolves. Although Theron and Davis have electric chemistry and are the show, another key supporting role written and acted with nuance is Marlo’s husband Drew, whom she lovingly compares to “the bench on a carousel,” played by a low-key Ron Livingston. Tully changes Marlo’s life, but it is a journey, sprinkled with dream imagery of mermaids, that sidesteps the obvious. Early on, Marlo balks at the idea of hiring a night nanny, comparing it to one of those melodramatic Nanny From Hell movies on Lifetime, which the film could have become but never does. What Diablo Cody builds toward is daring and handled more delicately and believably than it could have been, recontextualizing everything we thought we knew. In a less well-written film, Cody and Reitman could have lost their way with the path the film takes, and while it feels like a bit of a jarring bait and switch in the moment, it never cheapens anything. 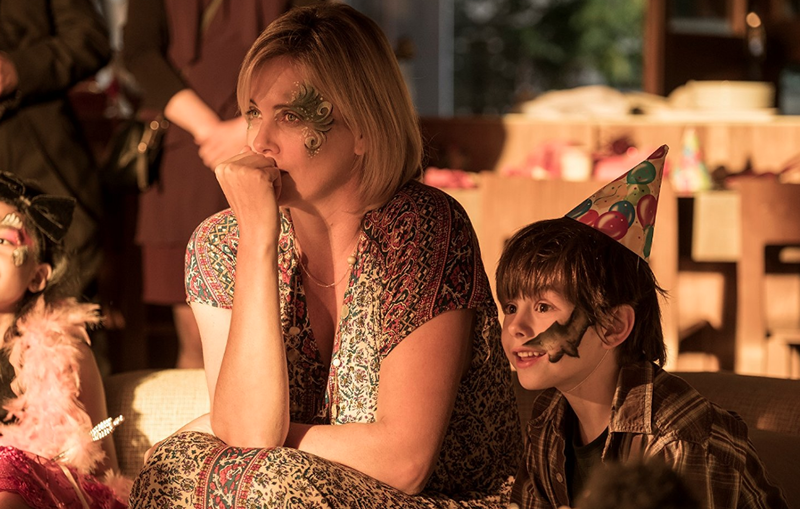 Without coming off trite, “Tully” is about the importance of self-care, even when you are a parent putting yourself last. In the end, this is like a fairy tale true to life with real-life observations. It’s tart and true, warm and moving but unsentimental.